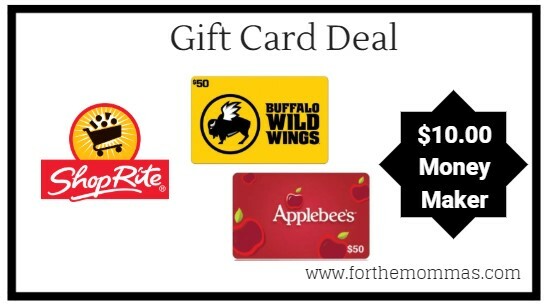 ShopRite: Gift Card Deal – $10.00 Moneymaker Starting 12/9! Starting from 12/09, when you purchase $50.00 of select gift card you’ll get a $10.00 OYNO catalina coupon. This is a good way to score $10.00 in FREE groceries.